There's always more to ZOO and SEE! 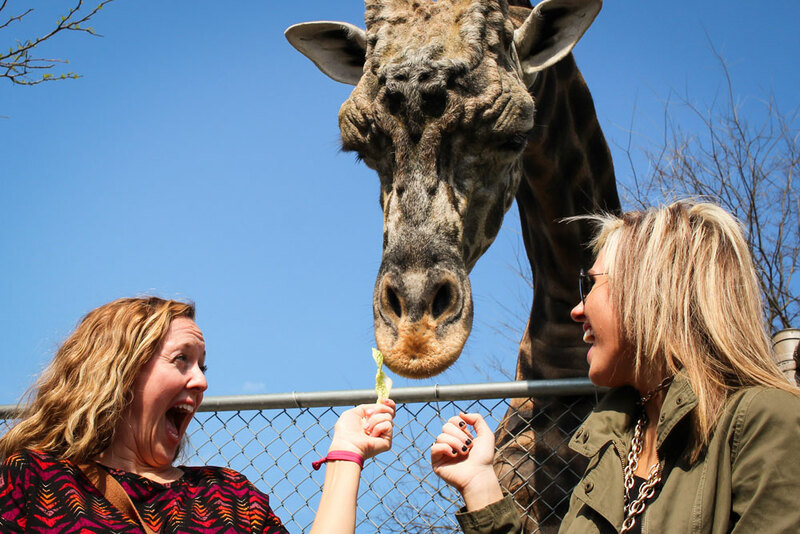 Take a guided tour to learn more about Nashville Zoo! Travel backstage, go on a guided walking tour or check out the Historic Home to start discovering. Explore your options in detail further down this page. Travel "backstage" at the Zoo to learn about animal care, behavior and conservation! Available weekly, every Thursday and Sunday. Pre-registration required. The frequency of home tours varies by season. The full schedule is listed below. Private garden tours are available by request only. Otherwise, guests are welcome to walk through our gardens on their own during their visit. Travel "backstage" at the Zoo to learn about animal care, behavior and conservation! Backstage Pass gives you behind-the-scenes access to areas not available to the public. These special tours are filled with experiences and information you cannot get anywhere else. We recommend purchasing your ticket in advance to secure your spot! Check out the tour options and availability below. All tours, except the Rise & Shine with Rhinos tour, are wheelchair accessible with advance notice so that accommodations can be made. Each tour has a maximum of 7-9 people. Tours involve some walking on mostly flat surfaces from the tour cart into buildings/animal areas. No food or drink are allowed, except for water bottles with closed lids. Water bottles must remain closed and put away while visiting animal areas. Meet at the Nashville Zoo logo rock just outside of Entry Village 10 to 15 minutes before your tour. No restrooms are available on the tour. There is a bathroom located near the meeting spot in Entry Village. You may store strollers at the Rentals building in Entry Village during the tour. Service animals are not permitted on these tours. 90-minute tour, offered on weekends at 1:00pm through March 3. Visit our giant anteaters, giraffe, okapi and commissary. *Tour price does not include Zoo admission. 90-minute tour, offered daily at 10:30am. Visit our giant anteaters, veterinary center and commissary. 90-minute tour, offered daily at 2:30pm. Visit our giraffe barn, okapi, bongos and commissary. 50-minute tour, offered 3x a week at 8:15am. Visit our rhino barn and meet our herd before the Zoo opens. Not suitable for children under age 8. This tour will go on sale March 8. 45-minute tour, available every Thursday & Sunday. Requires pre-registration at least one week in advance. 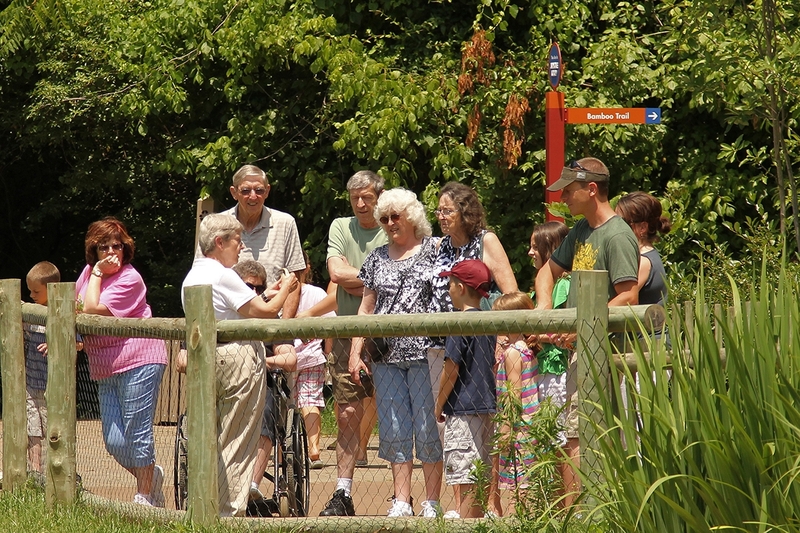 Enjoy a personalized visit to the Zoo with a guided walking tour led by our docents (trained volunteer educators). Register your group (up to 40 guests) by contacting Chris Radek, the Zoo's Interpretation Manager, at cradek@nashvillezoo.org or 615-833-1534 x146. Nashville Zoo Around the World: Learn more about Nashville Zoo’s conservation efforts, both locally and globally, and how you can help! We Are Family! : Many animals at Nashville Zoo live in family groups just like us. Why? Learn more about these animals that live in groups and how it helps them survive. Have you ever visited the Zoo and wondered what "Grassmere" means or who the Croft's were? Why are those names important to the history of Nashville Zoo? The answers to these questions can be found during a tour of the Grassmere Historic Home, located at the Historic Farm area of the Zoo. Self-Guided Tour: Roam at your own pace between 10-11:15 am. Kid-Friendly Tour: 20-minute guided tour at 11:30 am. Guided Tour: 30-minute guided tour starts at 12:00 pm. Explore and roam the Historic Home between 10 a.m. - 11:15 a.m.
Do you want to visit the Grassmere Historic Home but do not have time to take a tour? Come to an open house and roam through the house on your own. Staff will be on-hand to answer questions. This 30 minute tour takes place daily at noon. Take a step back in time to experience life in a Middle Tennessee farm home. Learn about the five generations of family members who occupied the home when it was built in 1810 to when the land was willed, eventually becoming Nashville Zoo. See original family artifacts, learn about the farm's connection to Cuba, and learn about the outbuildings that played a vital role in the history of the property. This 20 minute tour takes place daily at 11:30 a.m. While kids are invited to join any guided tour, these kid-friendly tours are shorter and focus on topics this age group may find interesting. 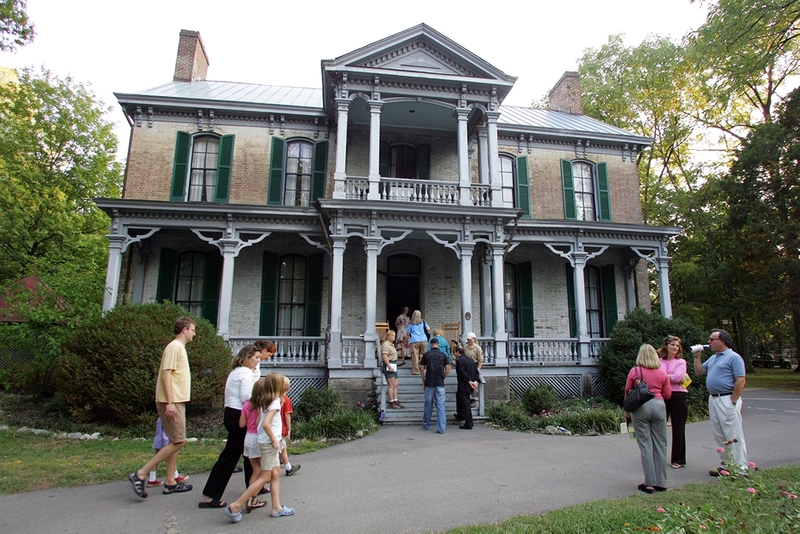 These tours will give children a glimpse into the house's history and importance, and explain how the Grassmere property became the Nashville Zoo. Tours will include peeks into the Historic Home and artifact encounters. The Grassmere Historic Farm is much more than just the Historic Home. Learn more about how five generations lived and worked on the property. The outbuildings on the Historic Farm each have their own story and unique purpose. Visitors are invited to visit the carriage barn, gardens, kitchen, smokehouse, slave cabin, and cemetery. Tour starts at the kitchen building. Encounters will take place from 10:30 a.m. - 12 p.m. during June and July. Did you ever want to reach out and touch one of the artifacts inside the house? Artifact Encounters will offer visitors a chance to get up close and personal with actual artifacts and replicas from the Grassmere Historic Farm collection.